Krystallina of Daiyamanga nominated me for the Three-Day Quote Challenge. Thank you, krystallina!! >_< Keeping me busy with all the awards and challenges. Nominate 3 other bloggers to take part per post. I recently read My Magic Fridays and instantly fell for Mia-senpai. He’s your typical heart-throb and most popular guy in school, but he’s SO sweet to Ai. Can’t wait to read the next volumes. 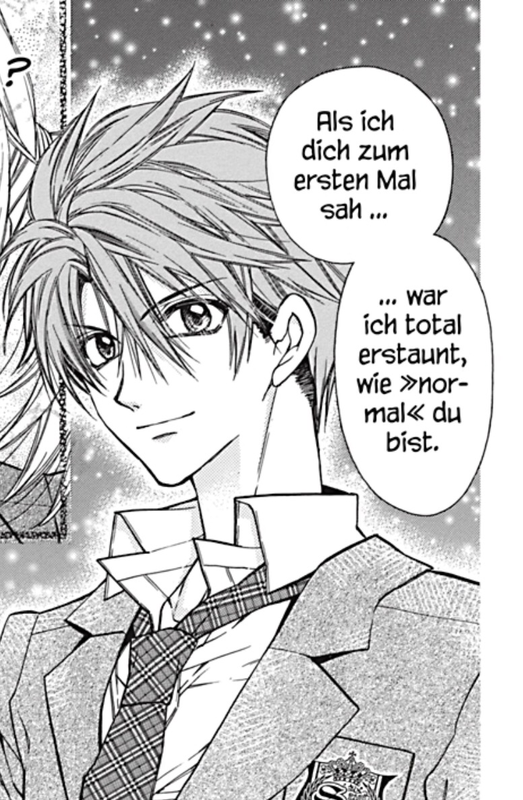 How many volumes are out in German? Volume 7 (digital/print) just released this week. I’ve only bought up to volume 4 (digital) so far. Haven’t decided which digital titles I’ll buy next especially since all 12 volumes of Blue Spring Ride are now available on Kobo. Man, why does the U.S. get the sucky version of Tokyopop… Shueisha should just let someone else take some of their series if they don’t want to license certain titles.